I saw this farm fence today and I thought the location of it warranted a photo. 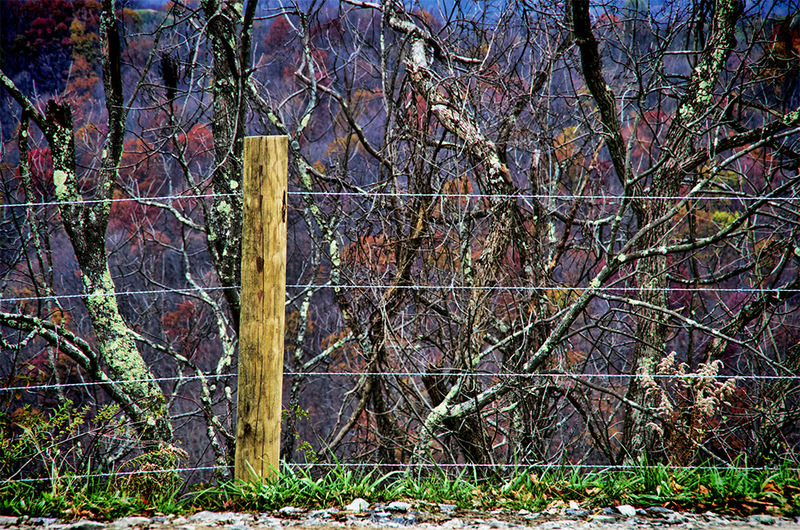 The fence itself is nothing unusual, just the normal post and wire ensemble, but as you can tell, the background sure looked crazy. The fence is on the side of a country road and immediately behind it is a ravine, where the large, scraggly tree is situated. Behind that you can see the hill across the wide valley. All together it looks strange to me. Kind of psychedelic….man. Thanks Tanitha. The distant hill added a nice cool balance, IMO.